Birthstones have existed across cultures throughout history. Often, these were attributed to significant aspects of a particular society, such as religion or custom. Modern times reflect these themes as well, as groups have updated these symbolic stones to reflect current tastes, thoughts, and trends. Join us as we examine the nature of the January birthstone. When the modern birthstone list was established in the early 20th century, garnet carried over its position from the historical birthstone list. When comparing the modern and historical birthstone associations, this gem is one of only a few to retain their position! Traditionally, we think of garnet as a deeply hued red gem. 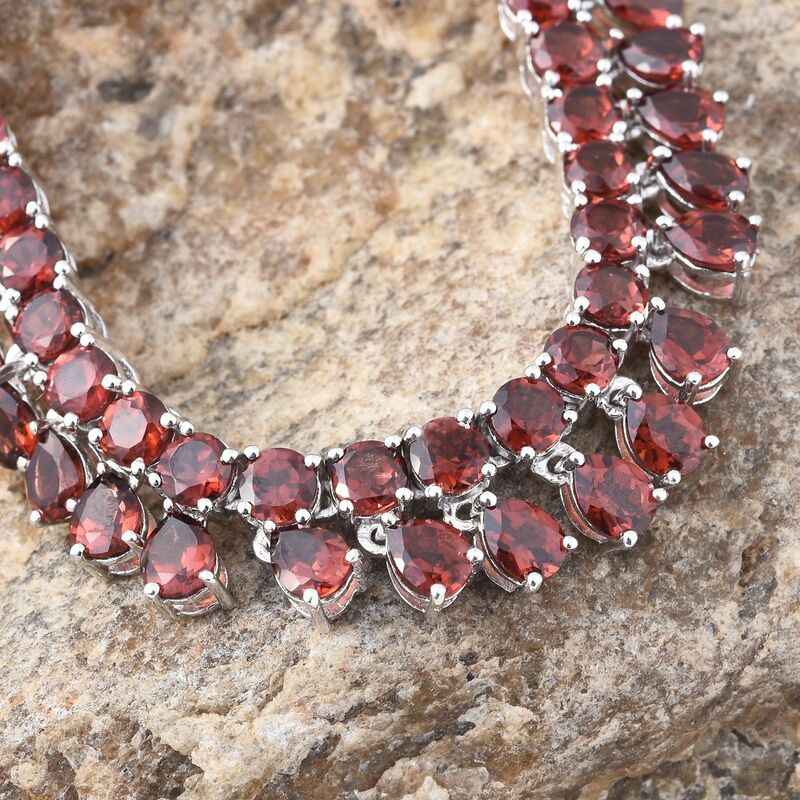 In reality, red garnets are part of a much larger family of gemstones! Garnets come in a huge variety of colors, with several examples described below. Demantoid Garnet: A green variety of garnet, it is found in many shades. Madagascar Color Change Garnet: A blend of pyrope and spessartine garnets, this stone changes color in a similar fashion to alexandrite. Tsavorite Garnet: Famous for its brilliant emerald-green color, it is one of the most sought after varieties of garnet. Rhodolite Garnet: A rosy pink-purple, pyrope and almandine blend to create this gem. Discover all the varieties of garnets within our Education Center. While birthstones eventually trace their roots back to Aaron’s breastplate of biblical lore, their use as we know them is a relatively modern concept. There are records of garnets being used as birthstones as early as the 15th century according to the Gemological Institute of America (GIA). 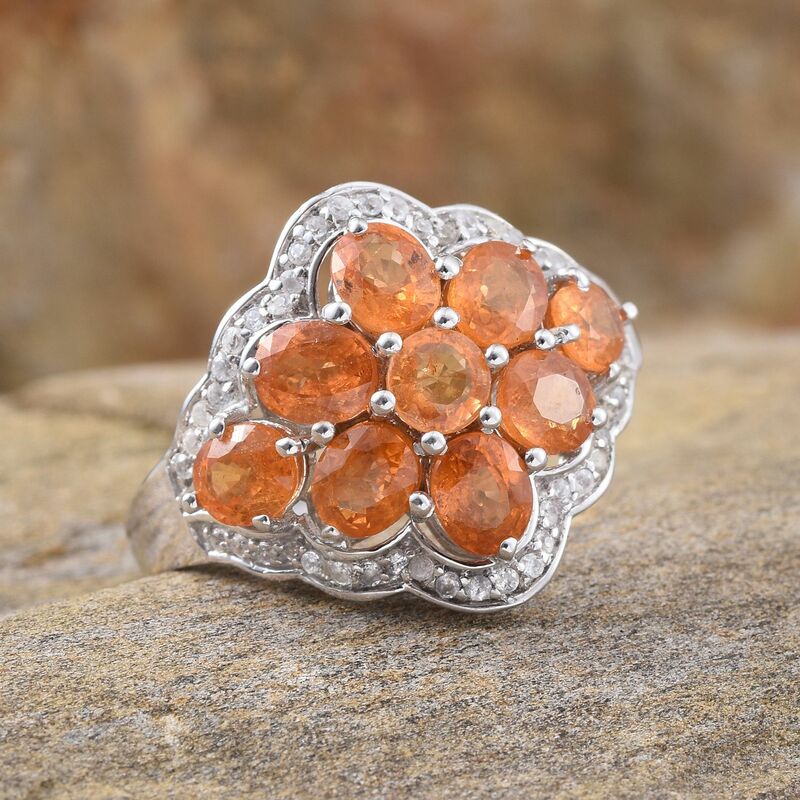 Since antiquity garnets have been famous for their inner sparkle. In Hinduism and Buddhism, garnet is seen as a holy stone that enlightens the soul and gives wisdom. Garnet symbolizes constructiveness and works best on the root and sacral chakras. In addition, mystics believe it brightens dark souls and brings hope to people. Garnet is said to release negative energy. Anyone subject to depression should carry a tumbled garnet. The gemstone encourages the feeling of joy, willpower, and hope, while its fiery color drives away tiredness and stimulates the imagination. Garnet is considered the modern U.S. birthstone. The United Kingdom also uses garnet as a modern January birthstone. Capricorn (12/22-1/21) utilizes ruby as their stone. Aquarius (1/22-2/18) is assigned garnet as a birthstone. Garnet has been used as a January birthstone since at least the 15th century. Birthstones were often thought to bestow luck on the wearer. They continue to be an excellent gift for lovers of jewelry and mementos. Whether you prefer tradition or modern sensibilities, birthstones are a unique way to tell a story about yourself. Which would you choose? Explore our range of January birthstone jewelry today!